I heard the story of a dog that was sitting on a front porch, howling in misery. 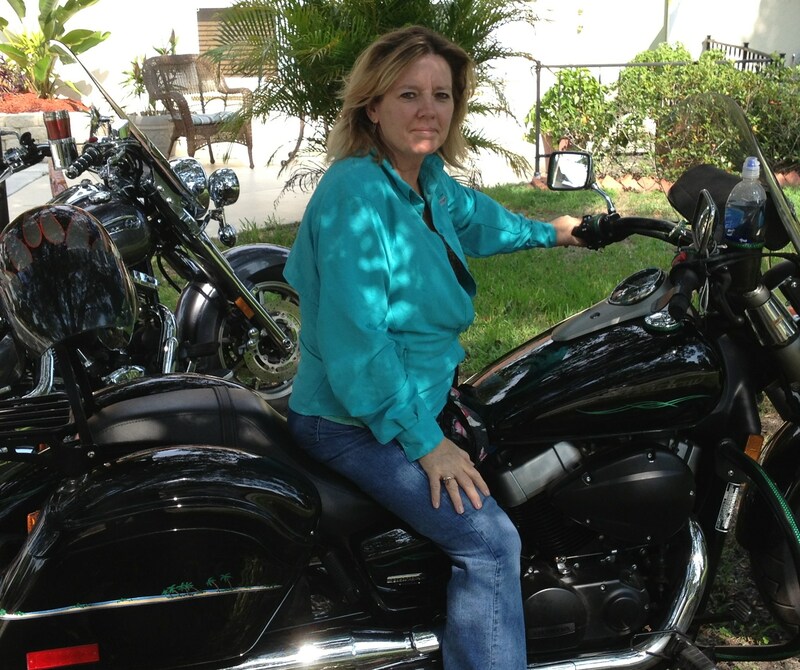 A stranger approached and asked the owner why the dog was howling. The owner replied that the dog was sitting on a nail. “Why doesn’t he get off the nail?” asked the stranger. This is a pretty deep parable, if you thing about it. The question is, what is Your nail? Roxy came to mind when I saw the High Key theme. I understand this is also a photography term, but interpretation is in the mind of the blogger! 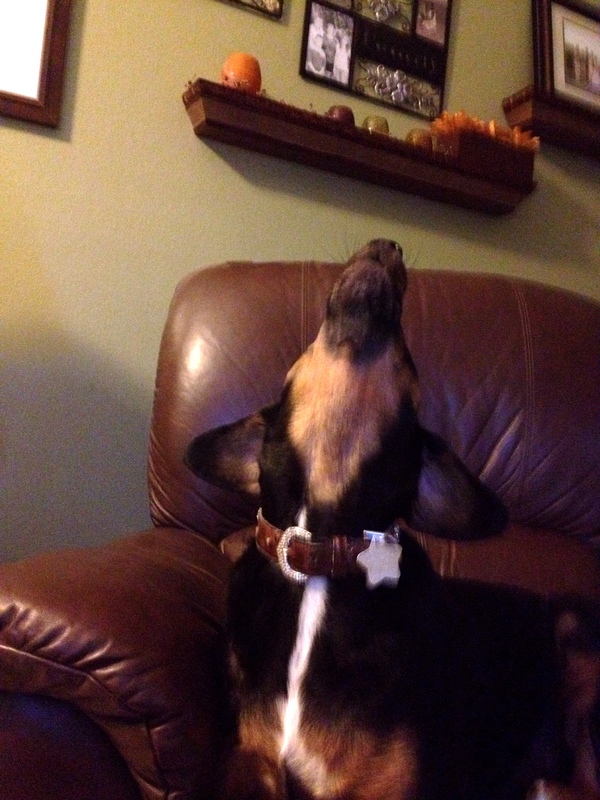 When we encourage Roxy to howl by simply tilting back our head, the hound in her emits quite the high pitch! Categories: 52 week photo challenge, Pets | Tags: dog, high key, howl, howling dog story | Permalink. Later the ranger told me he was surprised by some golfers that he suddenly came upon in the fog. 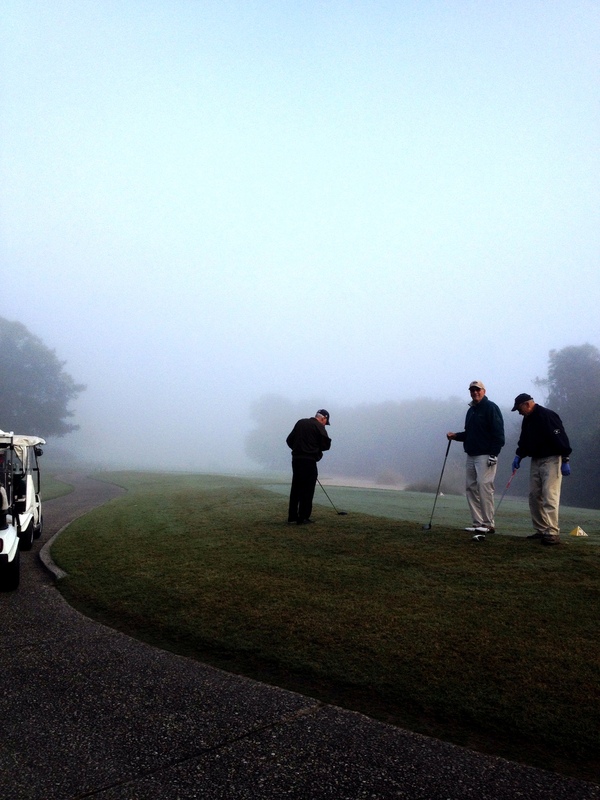 Usually the starter will watch the weather conditions and delay golf play until the fog burns off a bit. 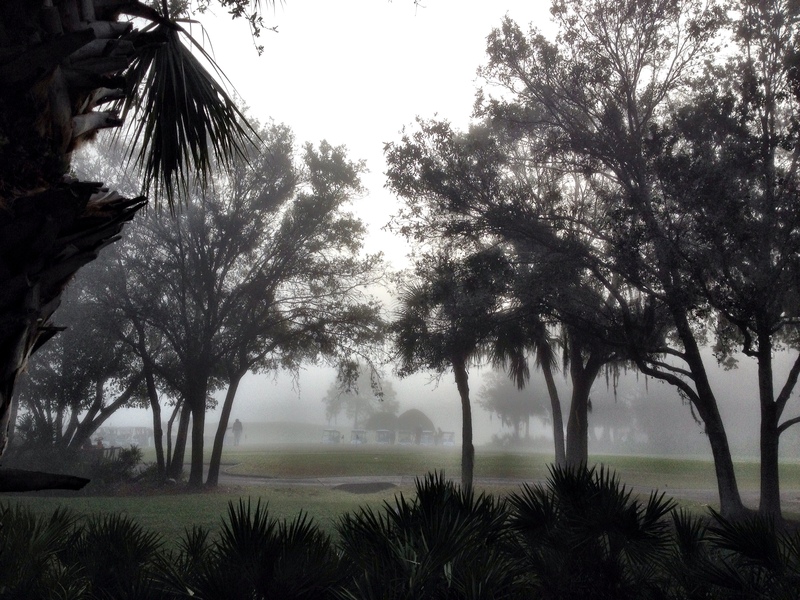 Categories: 52 week photo challenge, Florida, Sarasota | Tags: fog, golfers, mist, University Park Country Club | Permalink. There’s a tree grouping that I see at an intersection 5 days a week. 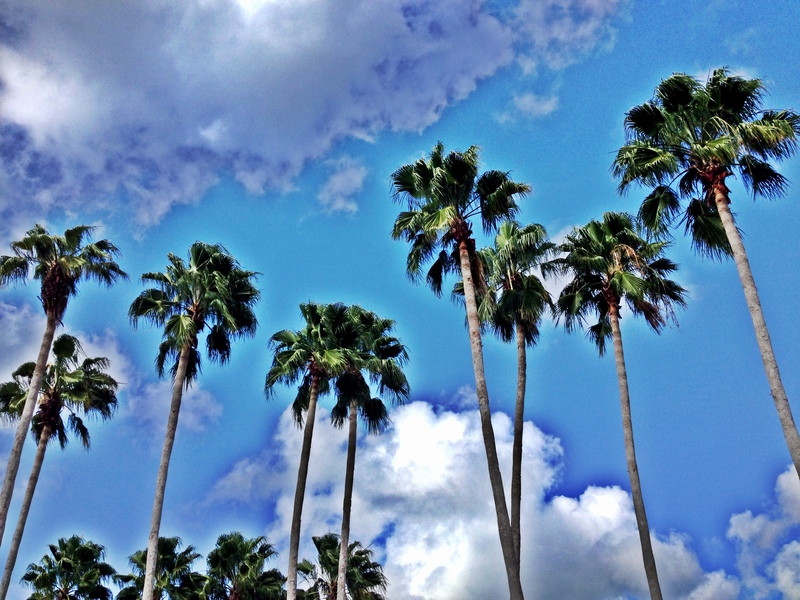 I’ve become obsessed in looking at the clouds that make up the backdrop of the palms. Luckily it’s a 4-way stop and I can snap pictures when no one else is around. 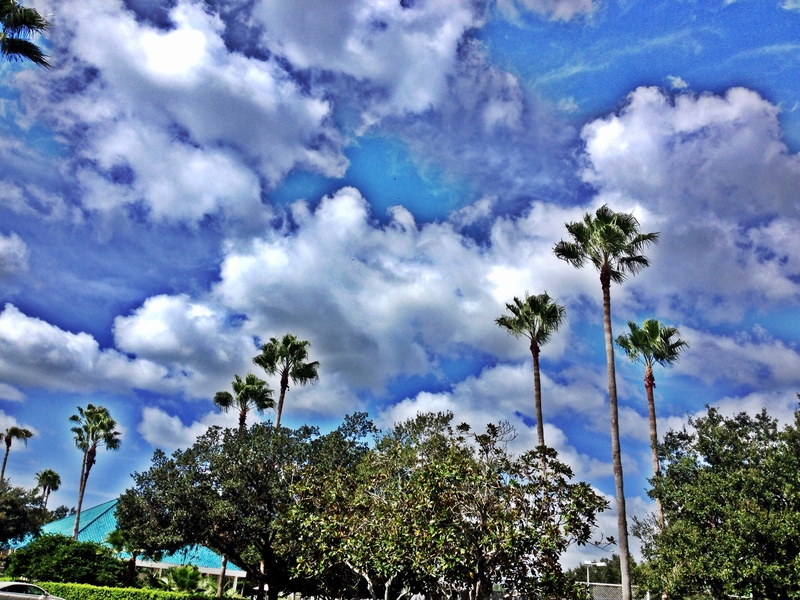 I’ve been experimenting with the HDR concept and have been wondering if the sky and cloud formations would vary according to the time of year. 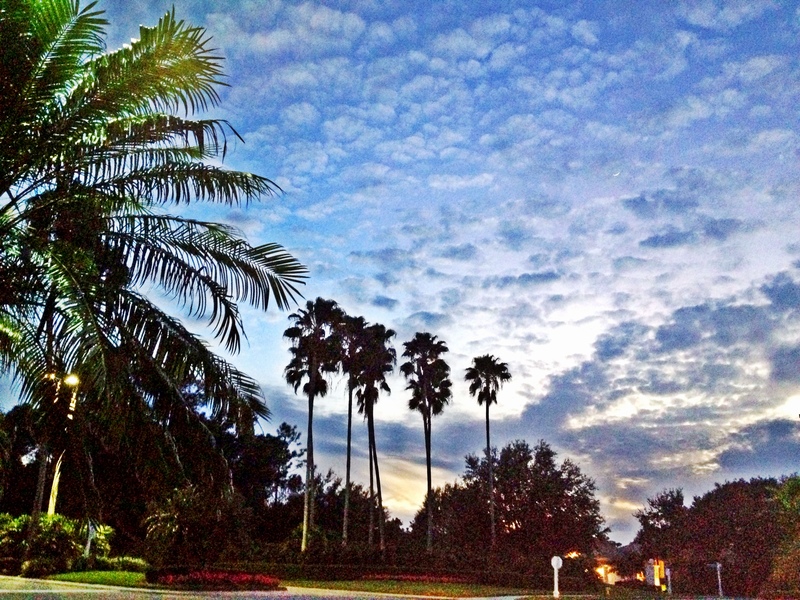 So far, the best sky has been in the fall. 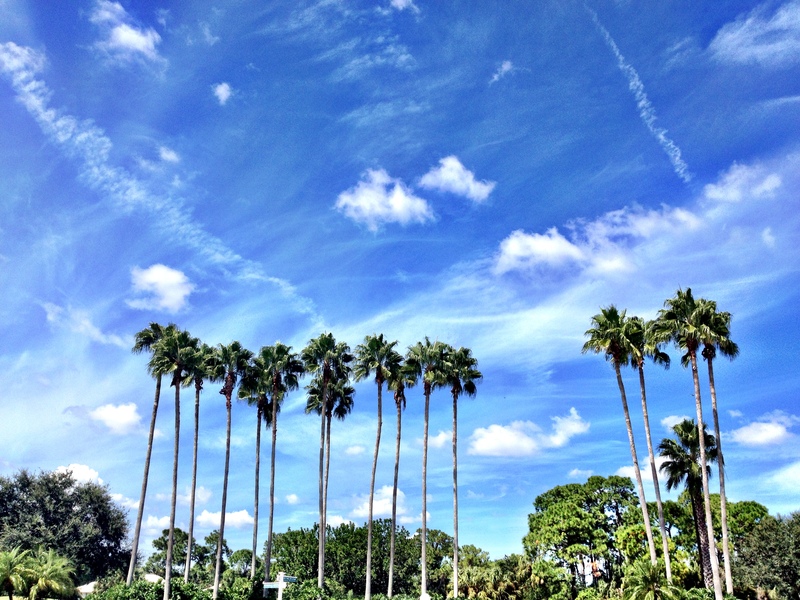 Categories: 52 week photo challenge, Florida, Sarasota | Tags: blue sky, hdr, Irving Berlin song, palm trees, University Park | Permalink. 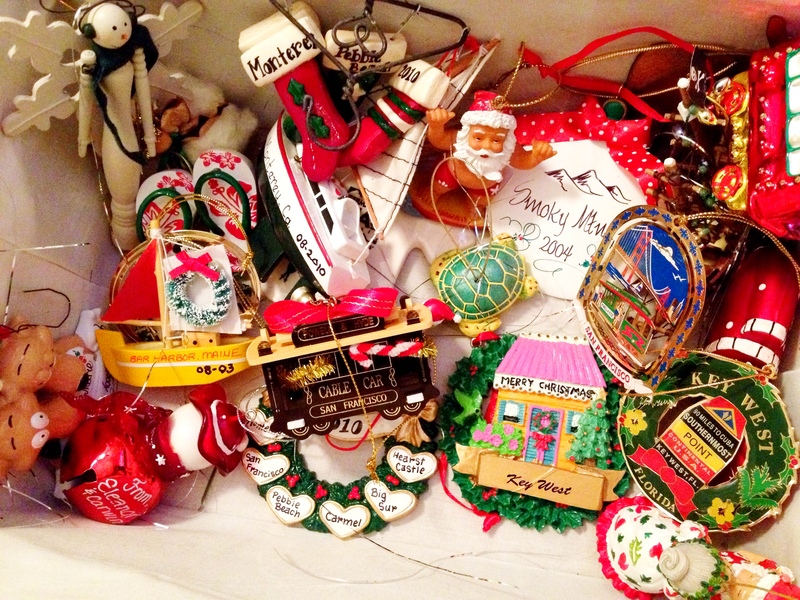 Bringing the ornaments out and packing them away again evokes so many memories. It’s fun to remember where this one or that one came from and to think “oh, I had forgotten this one.” This is a time to bring up the memories. Our tree is a bit of a map of our life. 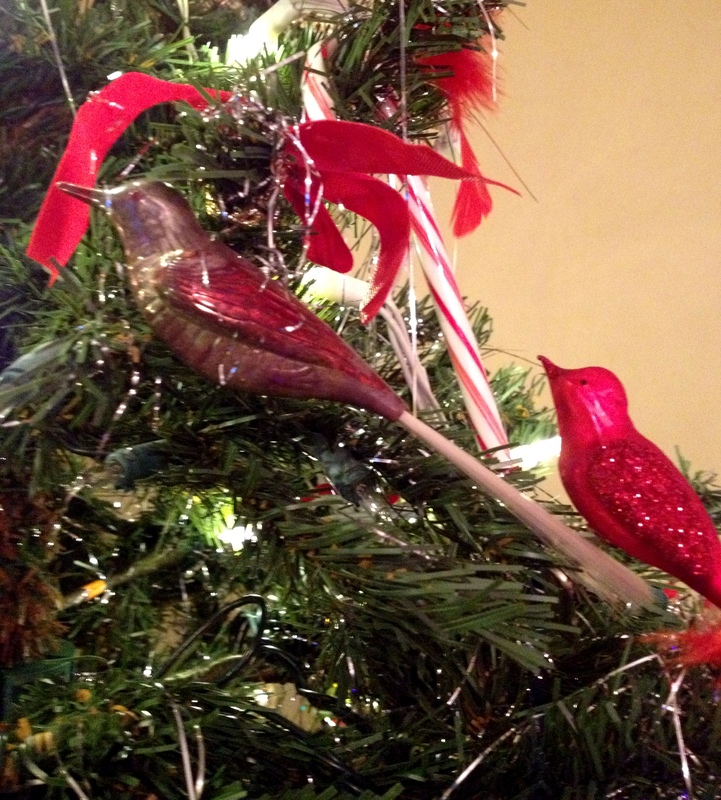 The oldest ornament on our tree is a bird that my husband’s Mom Laura gave to him when he was a baby. 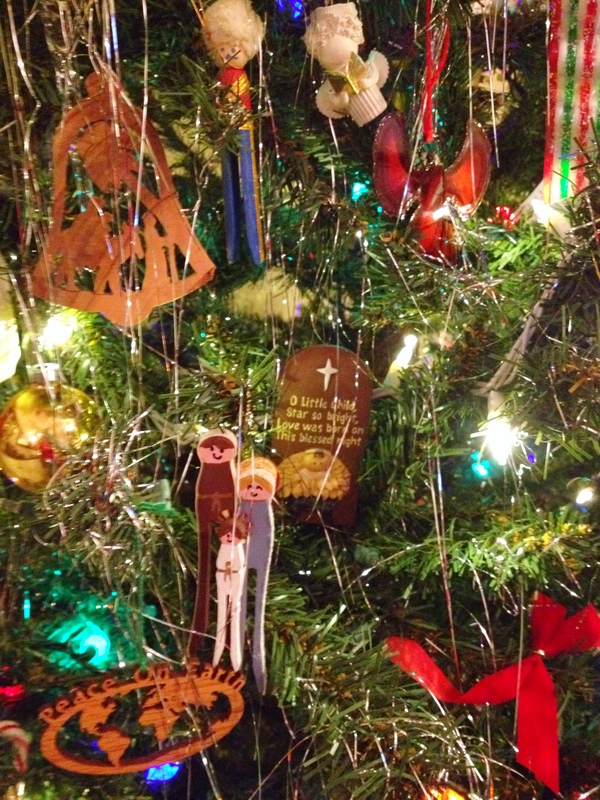 I think of my sister Linda and her husband Jim when I add the ornaments that they have given us over the years to our tree. I have a friend Cathy who reminds me how special friendships are by including an ornament in our gift exchange every year. And Greg and I try to pick up something on our vacations, so we can enjoy, again, places we’ve been and moments we’ve shared. 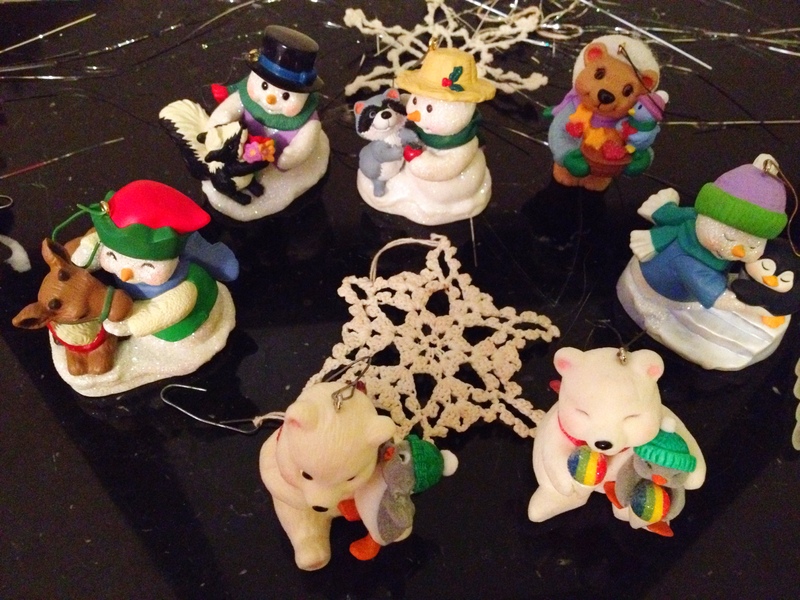 But, to me, the most cherished of all are the ornaments my husband and I have picked out together to honor our years together. 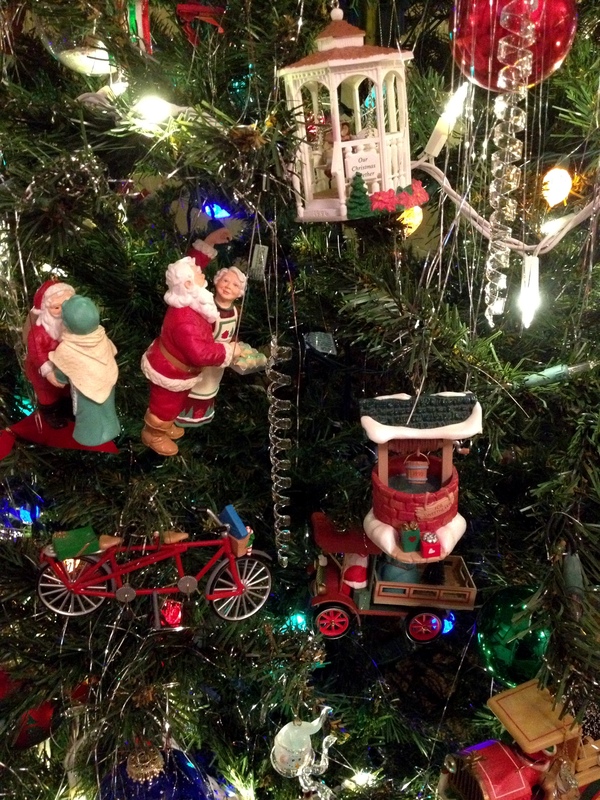 Categories: 52 week photo challenge, Christmas, Family, Travel, Vacation | Tags: Christmas, Memories, Ornaments | Permalink.